It’s that time of year for ghosts and goblins and if you’re enjoying an Autumn vacation with us at SeaSide Resort, you’re sure to discover they’re even at the beach. 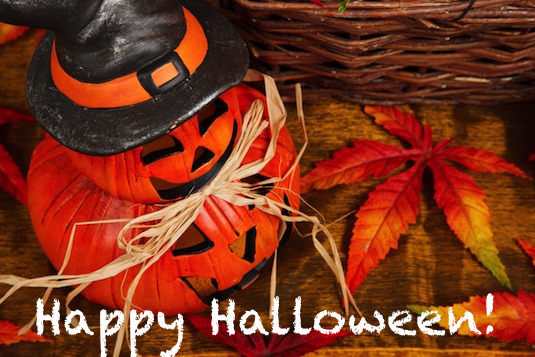 Children will be out trick or treating soon and we want to caution you to be careful if you’re driving around. Children should be dressed in bright colors and have reflective tape added to their costumes to ensure their safety. Wearing a headlamp and/or carrying a flashlight is a good idea, too. It’s a fact that children traveling in groups are far safer than going out alone or with just one other. If your family is staying at our North Myrtle Beach resort during the holiday, we encourage you to dress the kids up and take them out. There are plenty of events going on in the area that you won’t have to resort to going door-to-door to homes of people you don’t know. Not far from our resort are the following places where special events are being held for the whole family. HOWL-O-SCREAM takes place on October 29 from 5-8 p.m. at the North Myrtle Beach Park & Sports Complex. The Complex will be transformed into a safe haven for the thrill seekers in collaboration with Coastal Carolina University’s Recreation Management class. Come enjoy the array of activities that include hayrides, marshmallow roasting, trick-or-treating and much more. Scare free and Scare Zones offer a variety of excitement levels that is sure to satisfy all. Admission is $5 per vehicle. BooFest at Barefoot Landing is being held on Oct 29 from noon – 4:00 pm. Come dressed in your best Halloween attire for BooFest! Enjoy live entertainment, activities and food! This is always a popular event so come early! Monster’s Ball Costume Contest & Party in Celebrity Square at Broadway at the Beach will be held Saturday, October 29 from 4:30 to 6:30 p.m. Broadway at the Beach will host trick-or-treating around the complex in a fun and safe environment. Bring your kid in costumes for special treats at participating stores and shops. Costume party starts at 8 p.m. with the following prizes: 1st place $2,000, 2nd place $1,000, and 3rd place $500. Fireworks to follow. You’ll have your choice of two haunted house locations in Myrtle Beach. Take your pick or see them both if you dare! Ripley’s Haunted Adventure offers plenty of ghouls and a creepy tour guide through a dark, 3 story fear factory. Freaky animatronics and live actors! Nightmare Haunted House, since 1989, offers a terrifying trip through a haunted mansion the home of Pigboy and Giggles the zombie clown. Enjoy all their twisted friends waiting for you in the dark! The ghouls, goblins, ghosts, superheroes and superstars will be making their way around Broadway at the Beach on Monday, Oct. 31 from 4:30 to 6:30 p.m.! Bring the family and join us for Trick or treat at Broadway at the Beach! Fireworks to follow at 8 p.m. The Market Common invites your family including fur babies to make it a night out of fun-filled events. There will be complimentary carriage rides, music and entertainment in front of The Grand 14 and plenty of trick or treating from 5-7 p.m. on Monday, October 31.